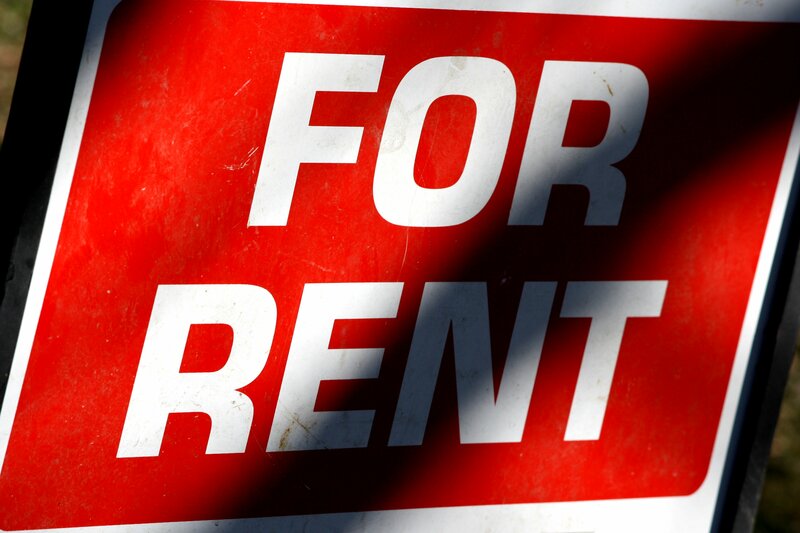 Free high resolution photo of a red sign with white letters reading: For Rent. There is a shadow across the sign. Free picture for any use.